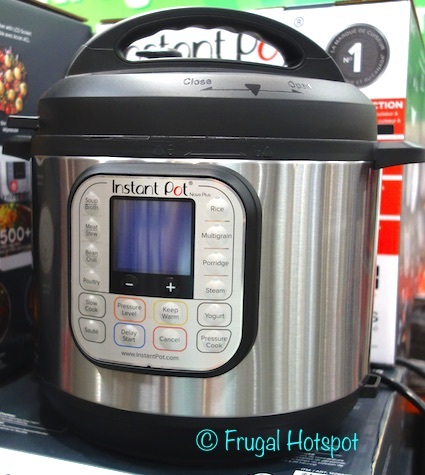 Reduce cooking time by up to 70%! 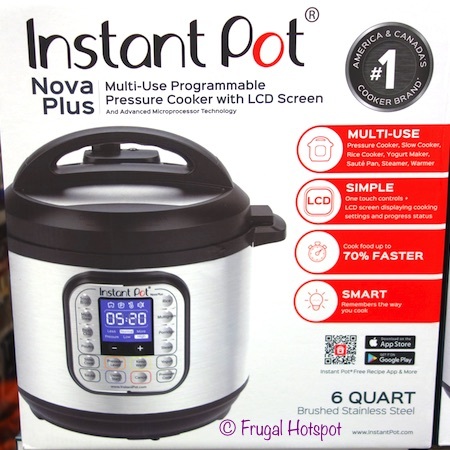 Select Costco locations have the Instant Pot Nova Plus 6-Quart 9-in-1 Multi-Use Programmable Pressure Cooker on sale for $84.99 (after instant savings), now through April 21, 2018. That is $25 off Costco’s regular price of $109.99. While supplies last. The fully-sealed environment traps the flavors and nutrients of the food instead of releasing them with minimal water required for cooking. Once steam pressure builds up, heat is distributed evenly, deeply and quickly. 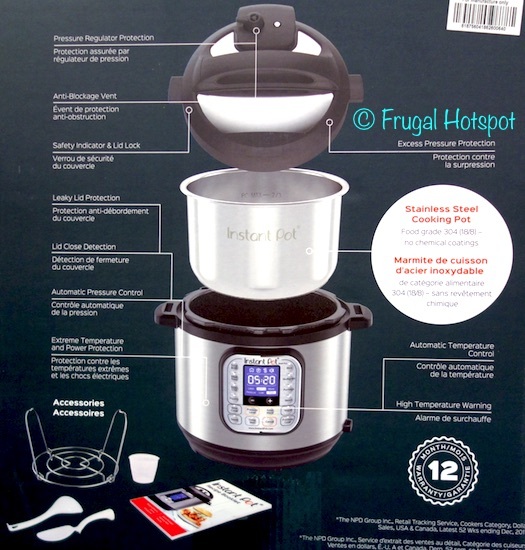 All components in contact with food are stainless steel food grade 304 (18/8) including the lid, the inner pot with a 3-ply bottom and the steam rack with handles.